Stewart Watson was the principal at Barneveld High School in Barneveld, WI. In the summer of 1928, he entered the rock crushing business by purchasing a rock crushing plant. He began making aggregates for county and township roads. Originally, this was just summertime construction work. As time progressed, Mr. Watson entered the crushing business on a full time basis. His company was called Stewart Watson Construction. 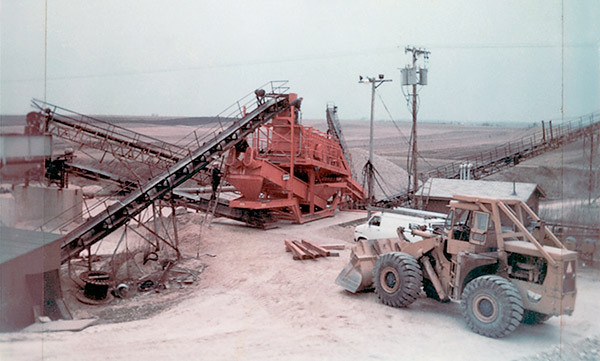 In addition to the county and township work they performed, the company became involved in larger crushing work. This work reached a peak during World War II when the crushing plant was operated for 5 years to supply crushed stone for the construction of the Savannah Illinois Proving Ground. Also during WWII, he joined other crushers in crushing stone for the Truax Field Installation in Madison, WI where over 800,000 tons of stone was crushed and installed. 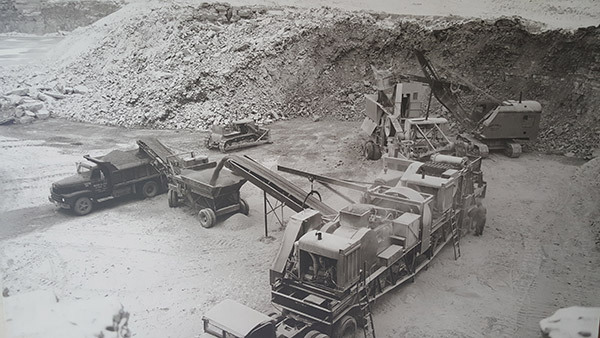 As time passed, the rock crushing business continued to grow. Although much information has been lost, it is known that Stewart Watson began securing aggregate deposits to the west of Madison including Dodgeville, Barneveld and Mont Horeb, WI. During drill work on an Iowa County farm on August 4, 1939, Stewart Watson’s company discovered Cave of the Mounds by drilling into one of its chambers. The subsequent blast tore the face off the quarry and exposed an underground cavern. The quarrying stopped and was never resumed. 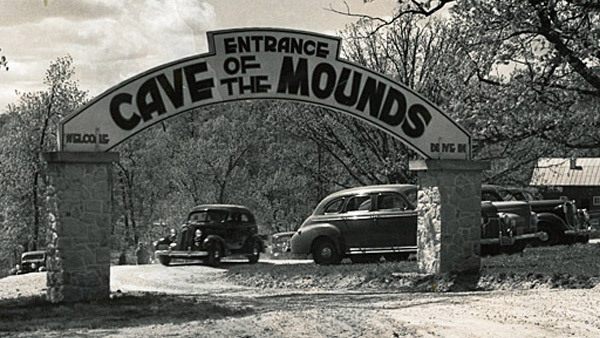 The cave is known today as the popular tourist attraction, Cave of the Mounds. While the business grew supplying townships and county roads to the west of Madison, Stewart began to look toward Madison. The urban setting offered the greatest opportunity for future growth. 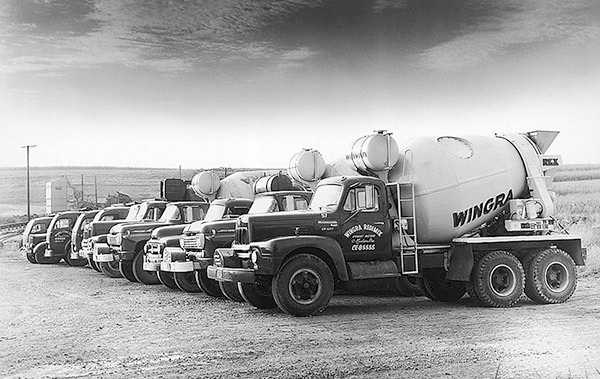 In 1949, the company was incorporated and the name was changed from Stewart Watson Construction to Wingra Stone Company. Although it isn’t known precisely why Stewart chose the name “Wingra”, it echoed Madison locations such as Lake Wingra and Wingra Drive. The name change gave new life to a rock producing Construction Company. 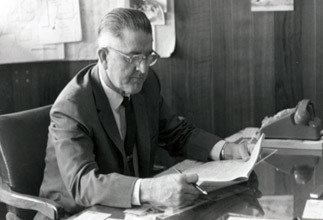 In the 1950’s Stewart purchased a quarry in the township of Fitchburg. This quarry would allow him to market directly into the Madison area. When an opportunity arose, the quarry in the town of Fitchburg was sold to allow for the purchase of another quarry even closer to Madison. The new acquisition of four parcels-again in the township of Fitchburg- gave him an even larger quarry located just outside of Madison. This quarry, although exhausted today, remains the location of Wingra’s offices, concrete plants, and maintenance facilities. The sale of the original quarry located in Fitchburg is a great, unanswered question in the history of Stewart’s career. Stewart sold the quarry to his friend, Faye Hammersly, who ended up going into the rock business with the land he purchased. The quarry is commonly known today as the Hammersly Quarry, which created competition for Wingra. It remains unclear why Stewart created a competitor by selling the land without some restriction against quarrying. Wingra found gravel in the Town of Verona in the 1950’s. This gravel would either be used in concrete or asphalt. Concrete was the choice, and Wingra Redi-Mix, Inc. was started. 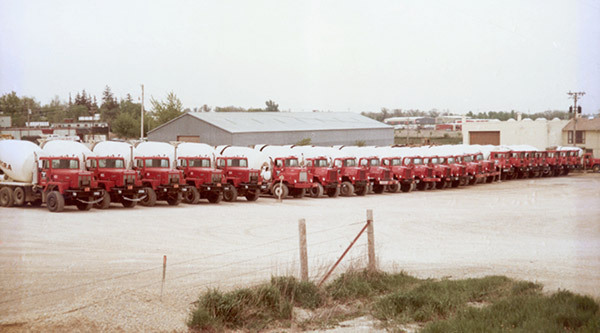 Incorporated in 1959, Wingra began delivering Redi-Mixed concrete in the Madison market and the surrounding Dane county. 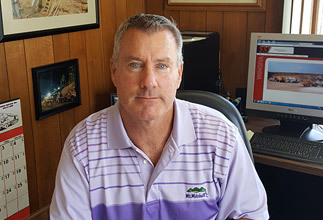 Both companies grew through the 1960’s and 1970’s.When Stewart retired from Wingra in the 1970’s, his son Jim succeeded him as president and majority stockholder. Stewart’s son in law, Robert F. Shea, who had joined the company previously, was named vice president and became a stockholder. The recession of the early 80’s changed the business climate dramatically. Interest rates sky rocketed and the company struggled. It was this situation which prompted the majority stockholder, Jim Watson, to begin discussions of selling his majority interest in the company. 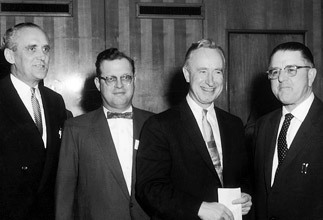 Robert F. Shea, believed the company could survive the downturn and entered into a buyout of Jim Watson’s stock. With complete control now in the hands of Robert F. Shea, the company persevered through the end of the recession and then enjoyed two decades of strong economic conditions. Both companies enjoyed some landmark jobs during this growth period. Wingra Stone worked on projects such as the West Beltline bypass, Dane County Coliseum parking lot, and the West and East Towne Mall parking lots. The Redi-Mix company won the contract to provide concrete for the Madison Metropolitan Sewage District Nine Springs Sewer plant. The job called for 40,000 cubic yards of concrete. The general contractor went broke on this job, but Wingra did just fine. The treatment plant put Wingra Redi-Mix front and center in the production of commercial concrete from that point forward. 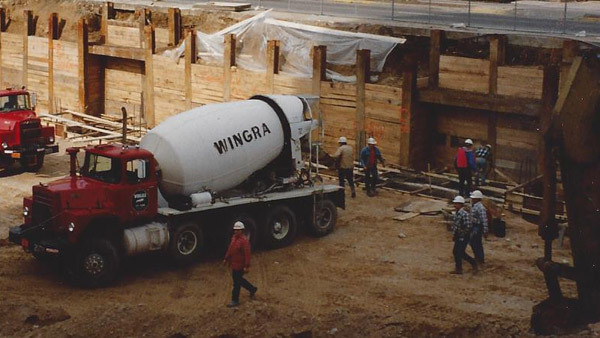 In the 1990’s, Wingra Redi-Mix, Inc. expanded by adding concrete production facilities. A competitor, Madison Redi-Mix, Inc. was purchased in 1993. This gave Wingra a concrete plant in Westport, WI. This expanded Wingra’s territory to the north side of the Madison market. 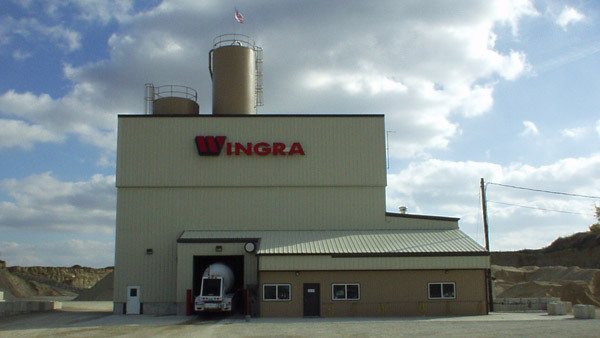 In 1994, Wingra built a concrete plant in the Hanley Quarry in Sun Prairie, WI. With limestone on site for concrete stone, Wingra cost effectively markets from this site. 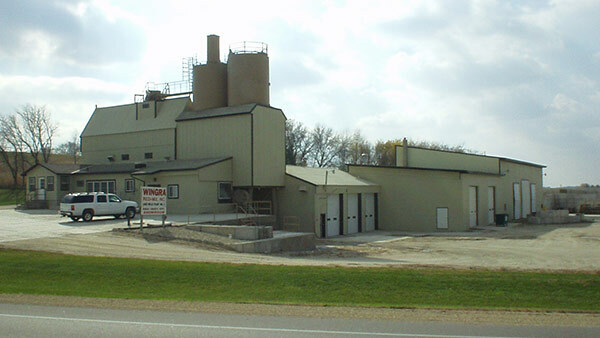 Lastly, in 1997, Wingra purchased Lake Mills Redi-Mix, Inc. in Lake Mills, WI. This expanded Wingra’s market into Jefferson County. With these new plants operational, more jobs followed. Multiple downtown buildings, the Kohl Center, Monona Terrace Convention Center and multiple hospital additions kept Wingra Redi-Mix growing rapidly. In 2005, Robert F. Shea retired. He stepped down as the third president and sole shareholder. His sons, Robert M. Shea, and Steven C. Shea were named President and Vice President, respectively. The stock transferred, and the third generation of family leadership was in place. 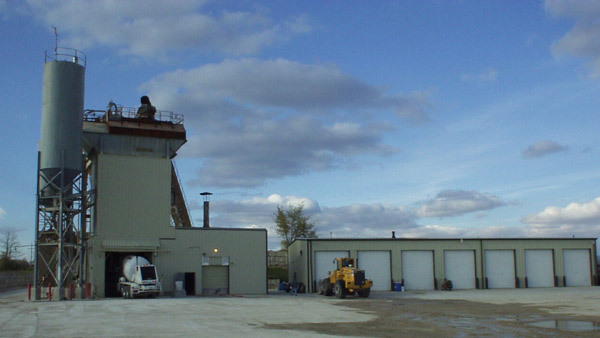 In 2008, Wingra Redi-Mix purchased Sundby Sand and Gravel Co., Inc.- a concrete operation located in Stoughton, WI. This acquisition extended Wingra’s territory further down into southern Dane County. The recession of 2008 significantly impacted the construction industry, causing Wingra to downsize. In addition to the downsizing, aggressive cost controls were implemented. As difficult as these times were, they were the actions which allowed Wingra to come through the downturn ready to prosper again going forward. Presently, Wingra is continuing to adapt to changing times. Land redevelopment has emerged as a significant focus along with new aggregate resource development. With a lengthy recession and recovery behind it, Wingra is positioned to move forward and grow with Madison and the surrounding communities. Although it is unclear what the future leadership of the company may look like, succession planning is currently taking place. © 2019 Wingra Stone Company - All Rights Reserved.